Are you guys ready to see one of the cutest families ever? 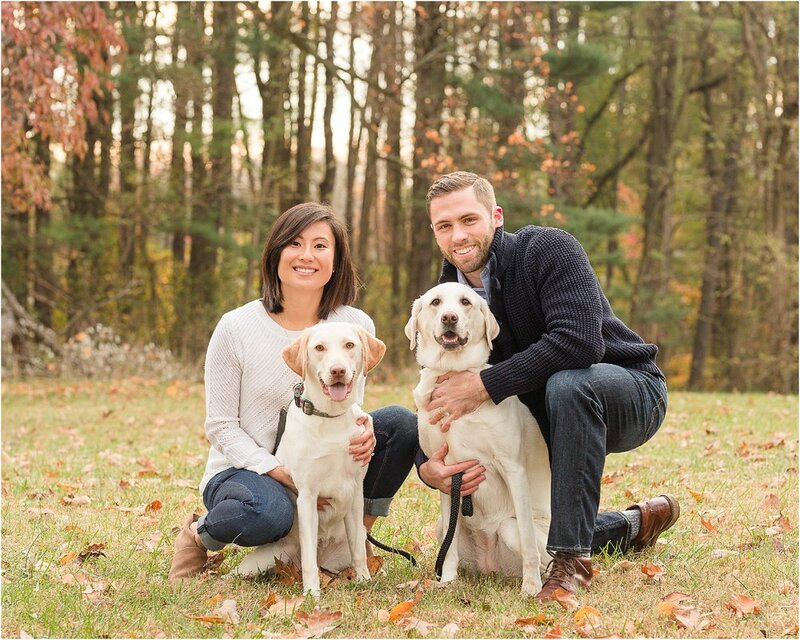 Sarah, Tim and their two labs, Bailey & Brooklyn, are SO adorable! On top of being adorable Sarah and Tim are incredibly kind and genuine. 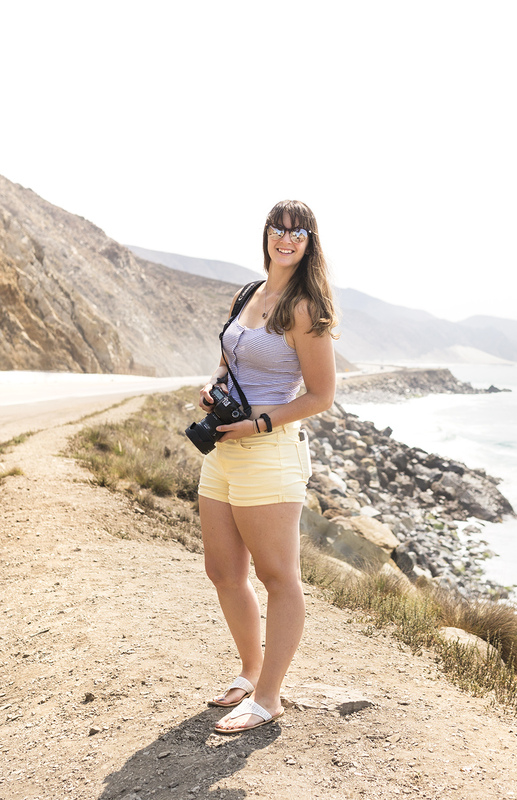 Fun fact, Sarah officiated one of the weddings I photographed this year! That wedding just happened to be her sister-in-law's! You can see a few photos of her at Erin and Jordy's wedding here. 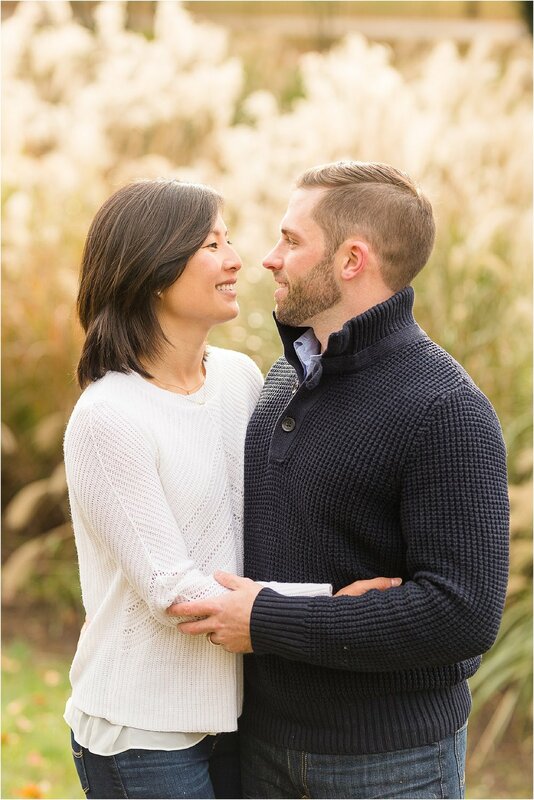 We spent a chilly Sunday morning capturing their session at Goucher College in Towson. 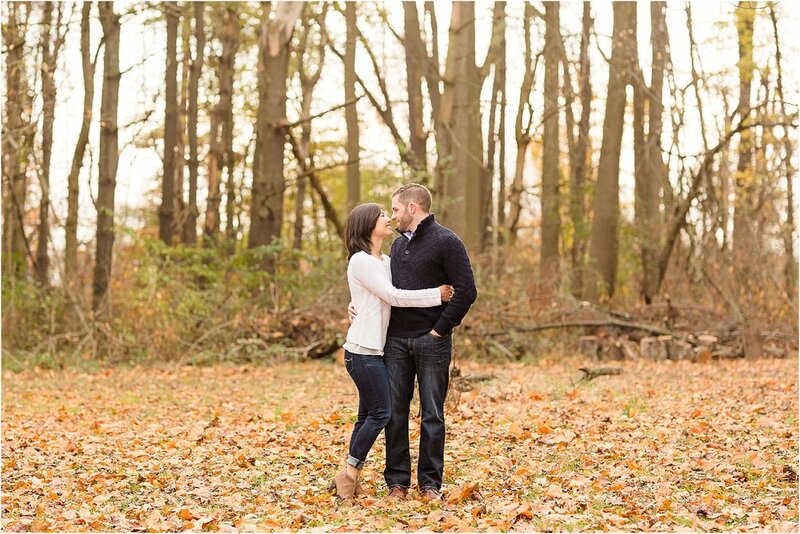 Sarah and Tim both went to Goucher, so it made this location super special. They chose to use an old equestrian field and some of the trails around there. We were all so surprised to see that there were still vibrant orange leaves on the trees as we walked the trails. Bailey and Brooklyn had a blast running around the field and trails as we took photos. They eventually got tired out and were more corporative for photos! While we were exploring the area Sarah filled me in on what an amazing school Goucher is. Just walking around the beautiful campus had me wishing I could be back in college! 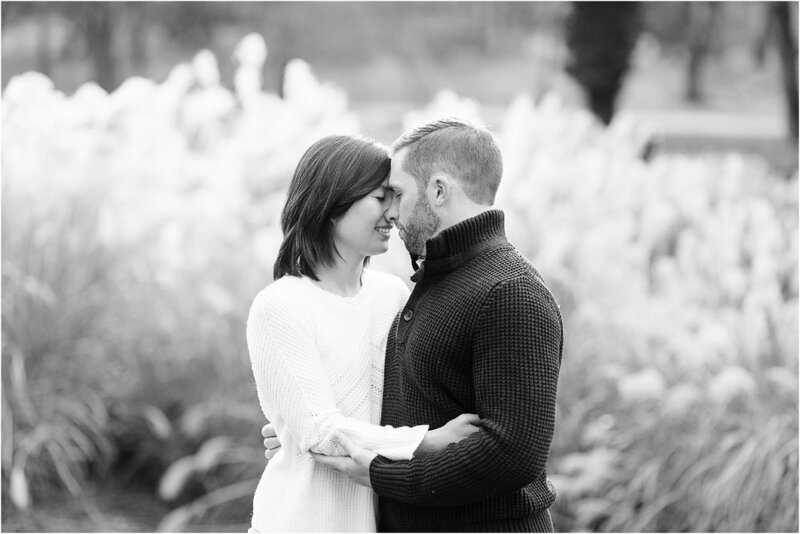 This session is one of my very favorites to date. 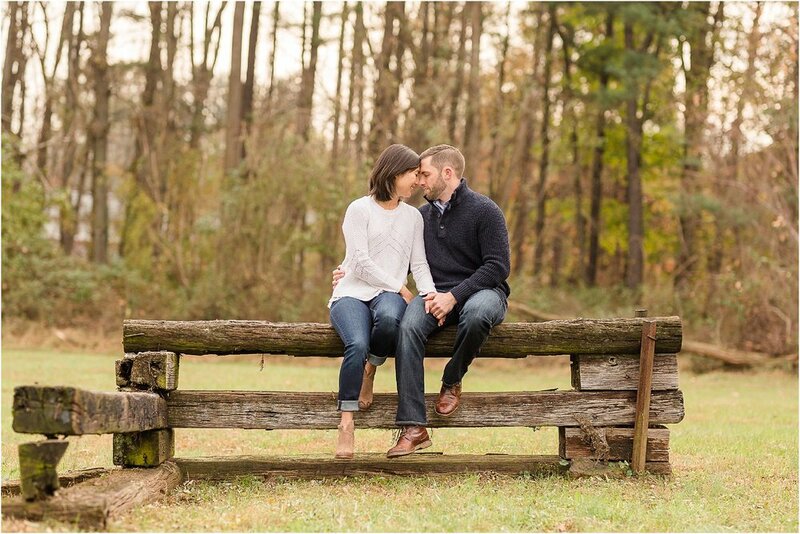 Not only did I have a stunning location to shoot in, but I also had a couple so in love with each other! It was truly worth the early morning wake up call!